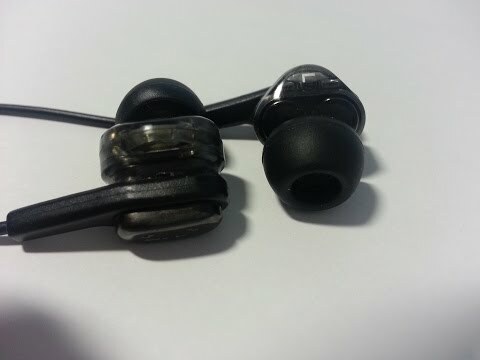 JVC HA-FXT90 Twin System Inner Ear-phone is another two drivers in one earpiece in-ear from Japan. The makes it delivering deep bass and clear detailing from a tiny unit. With two drivers installed, the FXT90 only weight at 6.8 gram. These headphones works on an 8 to 25 KHz bandwidth reproduction with a 107dB/1mW output sound pressure at 12ohms. JVC makes it looks and sounds exceptionally good and standing out from it competition. Available in Black color only. Pros - Lots of details. Prominent treble but not overshadowing bass and vocals. Moderate amount but tight bass. 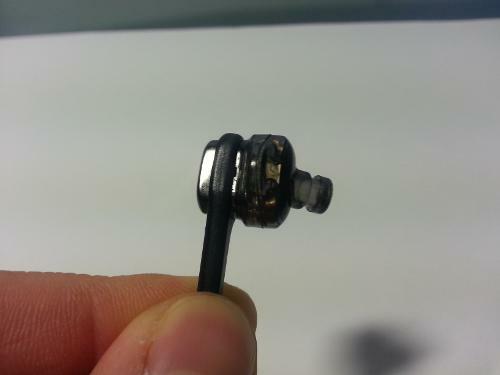 Really light weight for a dual driver IEM. Cons - None really. Just make me looking further up for much better IEM. "Balanced in aggressive way" that was the impression by our mighty ljokerl on his FXT90 review. This is fairly old IEM by JVC and has been replaced by the FXT100 and FXT200/208. Not going to write a long review about the sound quality here since F XT90 is one of the most popular among head-fier and most people agreed on just how good this IEM is. I have been contemplating on buying FXT90 for about a year or so. The lowest price on ebay is 44USD by China seller artistic.life. They are selling many branded IEM without original package for a ridiculously low price. I have bought Audio-technica ckx7 from them for just 30USD. Fantastic sound, definitely an original product. The next buy was another Audio-technica - IM50 BNIB for 62USD. 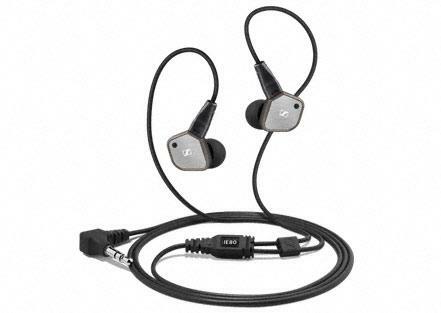 IM50 has been my favourite overall IEM in SQ due to its balanced sound. So when I read reviews about FXT90 I think I just have to buy this. I saw the BNIB selling in retail store here in Malaysia for a full price of RM499 or about 135USD. That is twice the RRP for my IM50. Eventually I bought the FXT90 through Aliexpress for USD 32.90 without original packaging. It arrived and without any hesitation I played some music through the FXT90 and then I realized ; OMG this is how the 135USD IEM sounds like! Didn't sound fake at all. Uncontestable. All my other IEM suddenly sound average at best. The IM50, CKX7, XBA10, ZA Basso, E10, Pioneer CL541 are not quite a bad IEM themselves and I know they are all original / BNIB. But FXT90 just sounds significantly better. The only small problem I encountered that the original tip is quite shallow so I replaced it with my Huawei AM12 tip- just perfect. The other problem now is I keep on looking for a better and better IEM. The replacement for FXT90 - the real upgrade FXT200 cost 105 now on ebay. Maybe I should just enjoyed my FXT90 until some China OEM can come up with FXT200 for less than 70USD . If the FXT200 is also become popular I have no doubt that some China OEM will produce it in no time. Next on the list- Probably Vsonic Gr07 BE, or ZA Duoza. There is no way I can tell they are genuine or not. I just pull the trigger and hope for the best. All FXT90 selling on Ebay and Aliexpress has JVC engraving on the IEM itself, so if the seller claim it is original and you believe it otherwise, just return it. But as I said the total sale of FXT90 is still very small and a fake is not economicly wise for OEM manufacturer. The JVC FXT90s are clearly the result of extensive research and packed into a compact package. They utilize 2 dynamic driver with carbon nanotube diaphragms. After doing some research on the properties of carbon nanotubes, I found that they are used a wide variety of applications because they have one of the stiffest and strongest materials available due to their strong covalent bonds, 20 times stronger than steel. Well what does this mean when comes to FXT90 or personal audio in general? 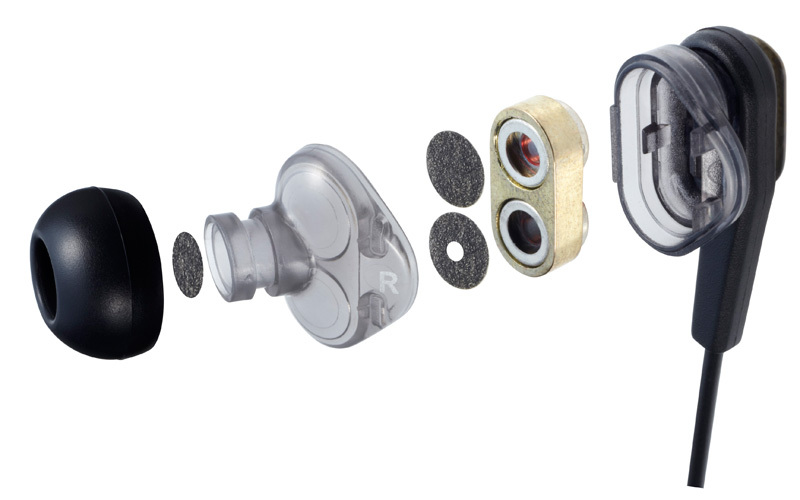 According to JVC, “the use of carbon nanotubes provides a balance of strength and flexibility that cannot be matched with diaphragms using traditional metals and plastic, resulting in crisp, pure, detailed sounds. Below is my video review of the FXT90s,Subscribe and like for more content! 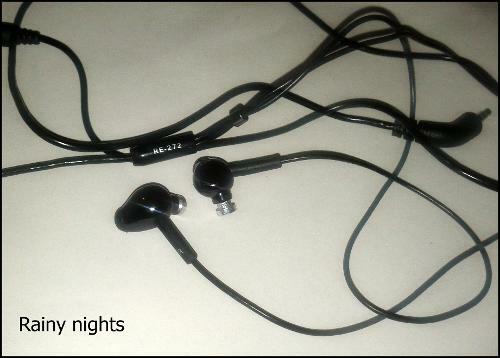 I got these earphones as is, with just the case, and 1 set of eartips so i will not comment on the accessories. The FXT90s were originally $149.99, but now can be found easily under $100. Design: There are certainly flashier and bolder designs out there, but the JVC FXT90 opts for a more industrial, no-nonsense, practical design. Even the JVC branding on the side is very subtle. 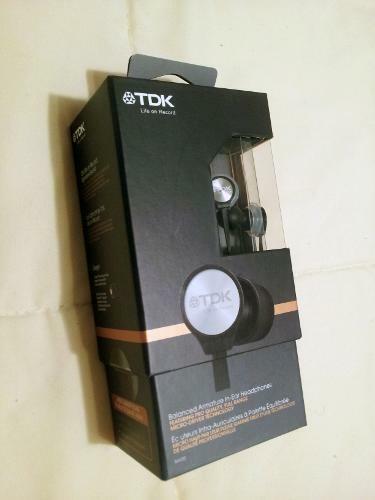 These only come in a “see-through smoky, lightly tinted plastic housing”, which allows you to see some of the internals inside the earphones, particularly the dual dynamic drivers. But overall, i'm very indifferent about the design. The FXT-90 overall is built quite well. The housing is made of a denser plastic, which just oozes solidity, whilst feeling very lightweight at the same time. 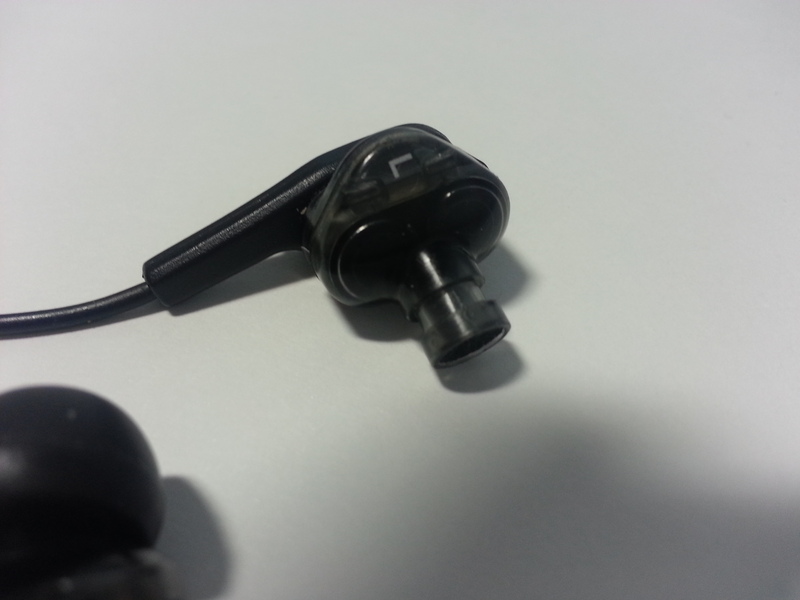 There are plenty of strain reliefs throughout all the key points (particularly on the earpieces and the L shaped jack). This instills plenty of reassurances even under heavy daily use. 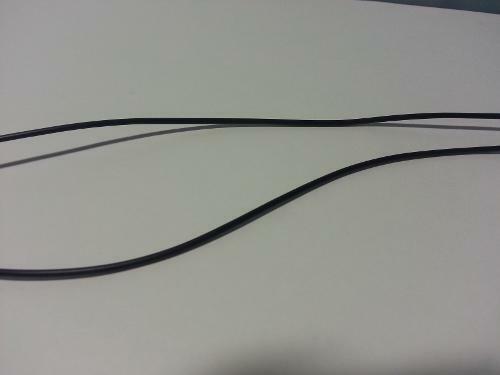 The cable is well made, and feels very supple and flexible, with a thick sheathing (especially on the bottom half), without adding much weight to the cable itself. The Y split is small and comes equipped with a cable cinch as well. 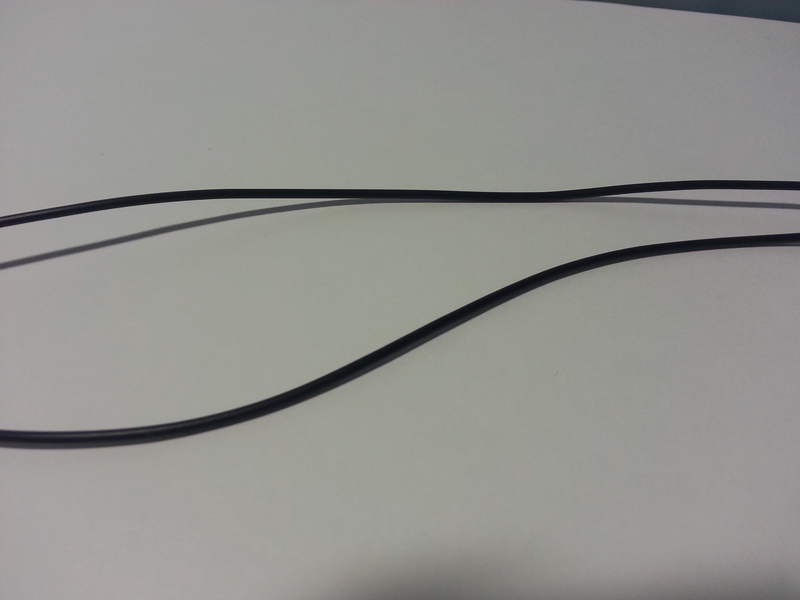 The earphone terminates in a 90 degree (or L shaped) jack that is again well relieved and is slim enough to get through even the thickest smartphone cases. 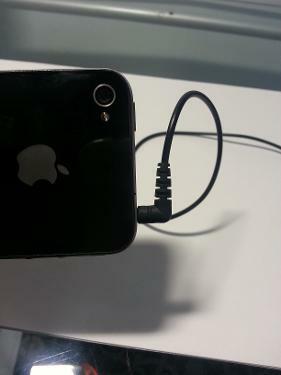 My only gripe is that the top half of the cable is just a bit thin for me. I would have liked it to be just a bit thicker, maybe 2mm, but it’s probably fine. Now, I’ll go into specifics on why there are so comfortable. The FXT90s have an angled, medium length nozzle, and a smooth rounded housing which allows them to slip into my ears effortlessly. I would say that because they don’t insert into my ears very deeply, the isolation is slightly above average. Your mileage may vary. Its great for walking out and about, and passable for commuting purposes. Cable noise: None when worn cable down. I was not able to wear them cable up unless I used longer tips. This is as good as it gets. 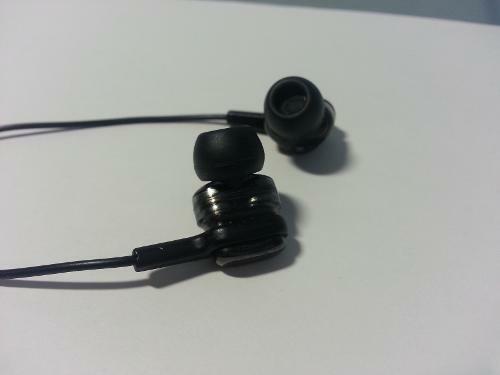 Sound: This is a fantastic earphone for anyone that loves their Top 40 pop and electronic music. I feel that these JVCs are easily one of the favorite! It’s a sound signature that “fun, aggressive, yet very detailed as well”. That’s the best way I can describe the FXT-90s. They have a very “in your face” sound signature that is lively, engaging, and toe-tapping while remaining very detailed throughout. Not an easy feat. Bass: The bass on the FXT90 is warm, emphasized, and punchy (with a bit of a mid-bass hump) but thankfully it stays away from sounding bloated. It simply has solid impact without sounding overly thick. The bass is nicely rounded, fast, and tight as well. I would say it’s just second to my Vsonic GR07BE in terms of speed and tightness. It has great extension down low as well. I believe the bass here has great appeal, from the casual listener all the way to even the most discerning audiophile. Midrange: Typically, the midrange is left out in the cold amongst the emphasized bass and treble on many v-shaped or bassy earphones. However, the FXT90s suffers from this problem only very marginally. The midrange is clean, rich sounding, but forward, with pleasing strong vocals (both male and female) with good note thickness, while retaining good clarity as well. Female vocals are more emphasized but have bit of a nasal or “honky” overtone, which can sound sweet on some tracks but a bit too forward on others tracks. Treble: The treble is emphasized, crisp, energetic and sparkly. It’s almost as detailed as my Vsonic GR07BE, but not as “peaky”, or as sibilant. It has just enough extension to allow for some airiness, but has good enough control that it doesn’t sound splashy. However, I will say for those especially treble sensitive, should stay away. Soundstage: In terms of width and height, the soundstage is average. The separation and placement is rather good for such a dynamic sounding earphone. The S5s have a smoother sound signature as whole. The bass is tighter on the FXT90s, and faster, and better extended. The midrange i think is really a draw, for those that like a more laid back vocal section, the S5s would be better (it would be better for long term listening, where as the FXT90 can be a bit fatiguing if your listening to a lot of female vocals). The treble on the fxt90s are more refined and smoother and less "splashy" sounding than the S5s. Though i feel the S5s have a slightly wider presentation. In conclusion, i think the FXT90s, are just a fantastic earphone! 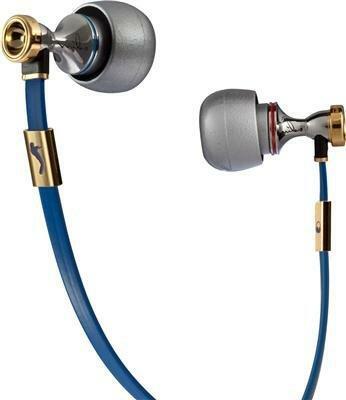 I really can't find many faults with these earphones. Fit was effortless, understated design, comfortable, and lastly and fun listen without skimping out on the finer details. At the current discounted price (under $100), the FXT90s are an absolute no brainer! They have easily become one of my favourites! Give yourself a listen! Highly recommended! I want to thank @ThickT again for being so patient and letting me have a listen. @Judge Buff thank you! let me know what you think of em! I hope one day u'll be able to review the fxt200ltd, they are better imo, but im just a regular user so i cant do a review about them. When I went looking for a new IEM last year, I really did a lot of research and wanted something with great SQ and detail but also fun sounding as I listen to a lot of rock and planned to use this pair at the gym. These are an absolutely fantastic value. They can be had for around 80-90 bucks online, and for that price they are absolutely wonderful IEMs. 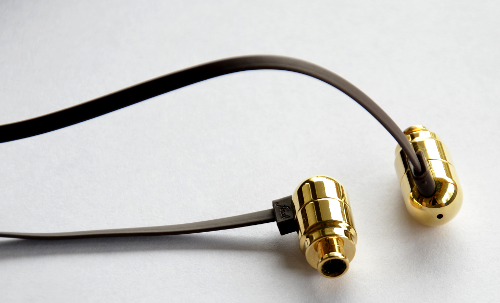 Check out the excellent review here on Head-Fi in the 309 IEM comparison thread for a more detailed review of these. These are not analytical phones by any means, but they provide very good detail and imaging, excellent timbre, and are flat out fun to listen to. Not a basshead IEM, but the bass does have good impact and authority. The presentation is very intimate and somewhat in your face, but I liked that aspect of them for what I was using them for. They have good energy and kept me pumped during my workouts. The somewhat U-shaped frequency range of these makes them excellent for rock, which is mostly what I listen to, but they work well with other genres as well. Isolation is okay but not great, but that's to be expected given their design and relatively shallow insertion. 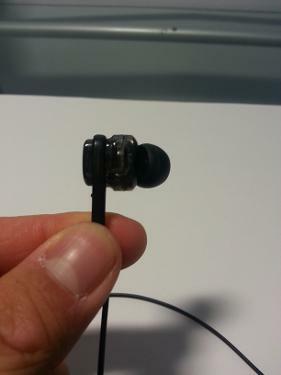 They are pretty comfortable, but not the most comfortable IEM I've used. Build quality is very sturdy with a semi-translucent shell that lets you see the two carbon nanotube drivers inside. They are tough little drivers and do take a bit of a burn in period to loosen them up. Mine didn't start to sound their best until after a couple months of use. Sadly someone stole them last month, and I ended up trying a HiFiMan Re-400 as a replacement, but I would highly recommend them, especially to rock fans, and I definitely may pick up a pair again down the road. Pros - Very Musical Sounding & enjoyable, Excellent timbre, Guitars sound brilliant, Solid build, comfortable, Good cable & jack design, Value for money. Cons - Driver flex, shallow fit makes you wonder whether you really got a good seal or not, mediocre isolation (tip dependent), Sparse availability. The Ultimate Ears 500 left me feeling lukewarm, to be honest. Though I had been initially impressed, as the days passed by, my liking for it faded rapidly with each passing day- something I never experienced with any other iem I owned.This was one IEM which I regretted buying, to be honest. No offense to any owners, but the UE500 didn't cut it for me. Fortunately, I spotted a JVC FXT90 going for sale along with an E7 and I pulled the trigger on them. I always wanted to own an FXT90 after hearing from Shotgunshane that these were the bomb for distortion guitars. Turns out he was absolutely right. Bought these used. They were in pristine condition and very well maintained. Comes in a clear plastic box with the printed stuff inside and the iems on display. There's a small case for carrying the iems (which I haven't used) and three pairs of single flange tips. Considering the FXT90-s shallow fit, JVC could have bundled along a pair or two of double flanges or some Complys. No exotic materials or fancy chrome stuff on board- just a simple, smooth housing made of strong, clear plastic which shows off the twin drivers. The nozzles are angled. 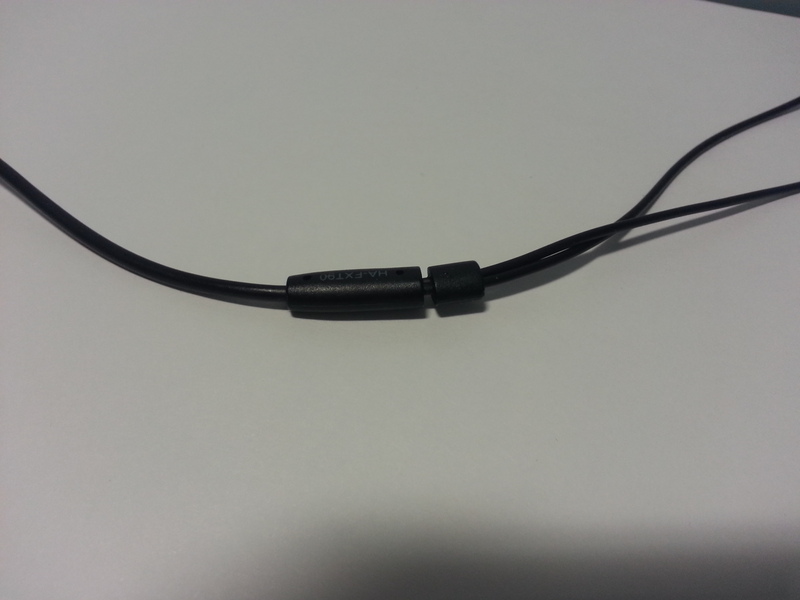 The cables are very well relieved and it doesn't twist up into a knot easily nor develop bends. The jack's pretty sturdy too. Nothing much to complain here. 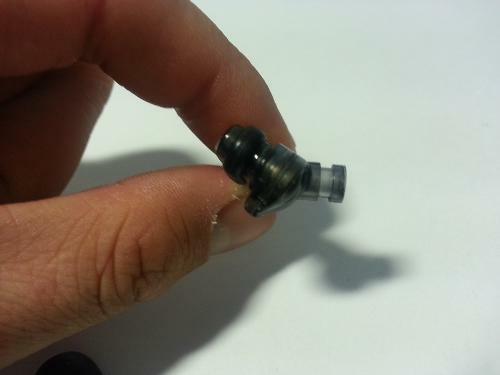 The angled nozzles, smooth and ergonomic shells ensure a good fit- albeit a shallow one. I get good results from the stock single flanges, but I get the funny feeling that I'm not getting a good seal when I actually do. Weird.. but they are comfortable and isolate reasonably well. In windy situations, however, I could hear the wind noise. Tried them out with UE single flanges and found that the stock ones were better. Didn't experience microphonics with the cables. There is a huge caveat here- driver flex. The drivers flex loudly when I insert them and get a good seal. It's alarming and annoying. It's the first time I experienced this on an iem. This can be solved to an extent by holding up the tip of your pinnae with one hand, relaxing the jaw and slowly inserting the iem to your ear canal while pushing the eartip to one side of the ear inorder to prevent the seal. After it is inserted, let go of your pinna and it's done with much less or almost nil driver flex. A more expensive way to counter this would be to get foam tips. Bass: Dynamic, Strong, Excellent decay, great slam and impact, moves quite some air, not as fast as a BA, but thick notes sound very pleasing and satisfying. Absolutely no complaints at all. Drums sound good- though not of GR07 caliber. Mids: Excels at bringing out the crunch and grit in distortion guitars (maybe due to the mild mid bass hump? )- very, very satisfying to listen to rock and metal on these. Decay times are also excellent- sounding natural and very musical. Solos are awesome with these. Highs: Has the right amount of sparkle- more detailed than the UE500, not as harsh as the Pana HJE900. Cymbal crashes and high hats sounded good. No complaints here either. A/B-ing with the UE500 revealed that though the UE500 had good sparkle, it didn't have as much clarity and definition as the FXT90. Soundstaging: Average. Not as wide as the UE500, not very intimate either. There's an airy and open feeling though. I can't find much to complain here either. No hissing with portable sources or with my E7. Sensitivity was good. Not as sensitive as the W4-s, HJE900; about on par with my Grados and much better than the UE500. Again, like the HJE900, these puppies punch far above their weight and are great for rock and metal. The FXT90 has a more musical, natural & even sound signature with more powerful bass, thicker notes, decay times and that uncanny ability to make distortion guitars sound great. The Panas have more clarity and speed, but have hotter and more fatiguing highs. Both are great in their own way, but I prefer the FXT90. The only real issue with the FXT90 is the driver flex. This can be avoided, as I had mentioned earlier- but it's a point to note anyway. Still, these things rank right alongside my Grados after the W4 as my favorite go-to pair of ear gear to listen to. Highly recommended for fans of rock genres. Do you think this is a good upgrade from the fxd80? The 90s have taken a while to grow on me. I found a deal for the L2s (champagne accents and cable) on AMZ Warehouse and pulled the trigger after becoming interested in JVC's dual-driver design. Out of the package I was less than impressed. Granted I was coming from the GR07s, I still wasn't exactly thrilled with the sounds these produced both unamped and through my cMoy. They were the most microphonic thing I've ever used and other than a solid bass presence and surprisingly detailed highs (but not particularly extensive), they weren't anything to write home about. Whether burn-in is a psychological or physical phenomenon is up to you but I have noticed enough of a difference to overturn my initial impressions completely. I hear a little more bass extension, especially on the upright Bill Evans Trio, the trebs and mids seem to be clearer, and well, the microphonics aren't going to be cured by burn-in but wearing them over ear is actually quite easy and microphonic-free. These guys regularly compete with the GR07s for iPod play time and they are a wonderful complement to the more analytical sound of the VSonics. If you want a unique set of IEMs that won't break the bank I would strongly suggest you look at the FXT90s. No, he just listened to Night Crawler on them! Tight competitor of GR07, this IEM isn't a replacement for GR07, but rather, a complimentary IEM. How does it sound? Fun, thick, and musical. Not your best analytical sounding IEM, while it does bring out details nevertheless. To me, it's a great buy, because I don't need anymore accurate sounding phones, but rather something fun and colored to my personal preference. 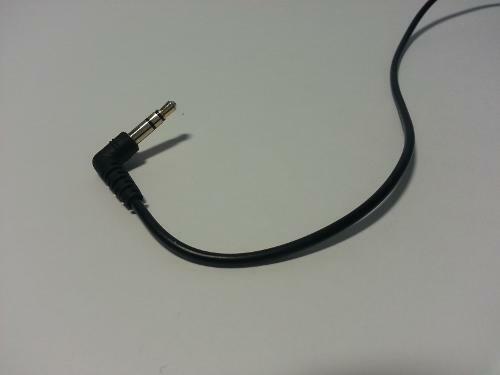 Mainly use it on portables and listening to vocals, rocks, and oldies. garcsa and Wuzupmyhomiz like this. Before I get into it, I'm going to list what I did listen to the most when I evaluate the JVC. Sayonara Zetsubou Sensei OSTs, an anime OST that features a myriad of genres, and songs that I have listened to so many times. This helps a lot because I can recognize any changes, most of the time. Muse, mostly from the album "Black Holes and Revolutions" and "The Resistance". A few other bands and artists on and off like Coldplay, Keane, Florence + the Machine, Adele, Bloc Party, and a few other anime OSTs like Tengen Toppa Gurren Lagann's OST and Mahou Shoujo Madoka Magica's OST. As I have seen time and again, most of anime OST cover so broad a genre that I need to listen to them. When I'm in front of my desk, I listen to them from my laptop using Foobar 2000 through a Fiio E10 USB DAC/amp device. When I'm out and about, I use my trusty 2-year-old Nokia N8. Music are mostly in .flac and 320 kbps .mp3 when on my laptop, and only mp3 on my phone. While I'd like to start with the usual way people write reviews, I am not experienced enough to write that way. As such, I will try to write about what I hear separately by general frequency range, and will link to YouTube samples to some of the songs that truly highlights this IEM. Bass is punchy and very impactful, but not boomy or flabby. Just enough amount of bass for a non-basshead to love it. I think the bass extension is quite low, but as I don't listen to many bass-heavy songs, the strongest I could think are from Muse, I can't really confirm this. It's not too overpowering, although when a particular song is mastered with gobs of bass, it will deliver gobs of bass, not more, not less. IMO they are also quite accurate, but as I said before, my lack of experience does hinder this a lot. Vocals are to die for with these, especially for female vocals. The way the vocals are presented through the JVC is just phenominal. While very slightly recessed compared to other elements of a song or instruments, they are not veiled and remain clear and detailed, even through a very busy song. I find the treble are not forward nor recessed. There is no sibilance that I could hear, and enough sparkle to brighten a song but not being painfully so. Vocals more or less are centre, with it sounding like it comes from the back of your skull. They sound very intimate, and drowned out a bit when there's bass going on in a song. IMO the soundstage is fairly wide; I reckon it extends to 30 cm, half a meter or so left and right, but not a lot in front and behind. Instrument separation are superb; on busy tracks, such as some of the instrumentals from the aforementioned Sayonara Zetsubou Sensei OST, I can hear the different instruments playing quite well. But what's great about it is that it doesn't sound disjointed or too separate, all seem to be in sync with each other. Overall though, I think the FXT90 is balanced on both ends in a very small 'U' shape frequency response, with a very slight bass forwardness. Also, I think this is a quite warm sounding IEM, but no 'veil' or anything covering the treble and mids. For more thoughts, songs I find to be so perfect with these and pictures, you can check out my blog post. FrequencyBlue and Wuzupmyhomiz like this. How do you think they do for Jpop songs with light melodies using mainly acoustics and/or piano? To my ears they fit very well, since I have a few handfuls of songs like that. Mind though that by now, I've had the chance to listen to the GR07 MK2, and own the Sony MDR-7550. If compared to them the FXT90 vocal capabilities lack a little bit, but for the price, and if you want some fun in the bass and treble region, the FXT90 is still great value. I've had my FXT90 L2s for about 3 weeks now...love them! Got them from Accessory Jack and the shipping took a bit of time, but not anything too absurd. My Atrios were broken for so long that I got really used to my Senn HD595s, so the soundstage freaked me out for a bit as brain burn-in commenced, but the cohesive presentation and musicality of these IEMs is really just...heartwarming. I'm listening on an iPhone, no amp or nothin. The appearance of the L2 champagne-colored version is really, really nice. The brushed metal-looking backing on the IEMs themselves is understated, refined, sophisticated...not at all "blingy" but not dingy by any means. Looks very NICE. Classy. The cable is...well, it's shiny. Hahaha...not much to say about that. They are nice looking as well. Slightly microphonic worn cable-down as I do, but nothing noticeable, especially with the clip in use and...you know...SOUND coming throught them (oh yeah, that little thing!). Yes, engaging...yes, forward presentation. They are colored, to be sure, but one thing I love about them is the clarity and detail of the mids and separation that exists alongside the colorful, musical signature. Soundstage was cramped at best out of the box, but they are really burning in nicely and opening up. It's not wide. Average width (jury is still out, as they seem to be improving still). The depth is great though. The sub-bass extension is really a lot better than I expected...coming from Atrios, that's saying a lot. I've got this sweep sine-wave file that just goes from 0Hz to something like 30k and the RUMBLE on the lowest end is phenomenal...it actually shakes my brain! Awesome. Musically, the bass has good punch although it's not SUPER tight and quick and articulate like the Atrios were...however, that's a bit unfair since they are one of them there bass kings. The FXT90s handle bass superbly, don't get me wrong. I will say this: the articulation has improved with the burn in time I've given it so far (I'd estimate ~100 hours maybe?). The mids...well, it's not unfair to call these mid-centric, and this is where much of the magic and music of the sound comes from. Mids are up front, but not overpowering...they are just....PRESENT. What I love about this presentation is the detail and texture the mids have. I believe the punch and insistence of the mids, along with that texture, is what gives these IEMs a great 3D element to the soundstage. This is also where some of the separation is done and it makes an ensemble orchestral recording (Howard Shore, Nobuo Uematsu) a joy. Highs are placed very well within the overall signature and shimmer. I wouldn't say it has that real treble sparkle...but they are not recessed. I expect they will open up a bit more with time, and actually I think my tips have a lot to do with the treble I'm hearing. No sibiliance, even with stuff like "What's the Use of Wondrin'" from Carousel or "Wishing You Were Somehow Here Again" from Phantom of the Opera, which would kill someone who is treble sensitive with the way those ladies hit their esses. Bright, sharp, but not cutting into your brain. I own this for 2-3 days but using the stock eartip, the metallic taste in the sound gave discomfort. I wonder if it's just me, or should I wait for the burnin process to finish / use double flanges / use hybrid earbuds? Certainly give it some burn-in time, although I'd think about new tips for sure, or be sure of your seal, before you think about getting rid of them - I haven't really noticed anything that could be considered "metallic" in their sound. These are warmer than cooler in their sound, I think. Not really a "bright" sound, which is what metallic suggests. Do you have a good seal? How does the bass sound? Funny it fitted my ear instantly, the best I ever had! Really.And as my experience with the bass, I had to lower the bass from EQ on my S9 (lowered the treble too) Regarding metallic and to be precise, vocals are a bit metallic both on S9 or iphone 4s.